The beloved brunch staple gets a glamorous update. 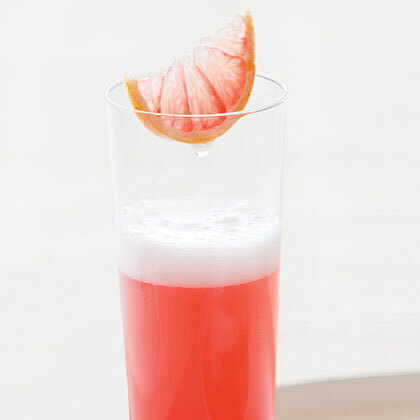 Add a little sparkle to your Mother's Day morning by mingling a standard mimosa with the flavors of a sea breeze cocktail (vodka topped with cranberry and grapefruit juices). Pour cranberry juice and grapefruit juice into a champagne flute or a thin glass. Fill the remaining flute or glass with champagne or sparkling wine. Serve immediately and keep the juices and bubbly chilled for refills.